The Rev. 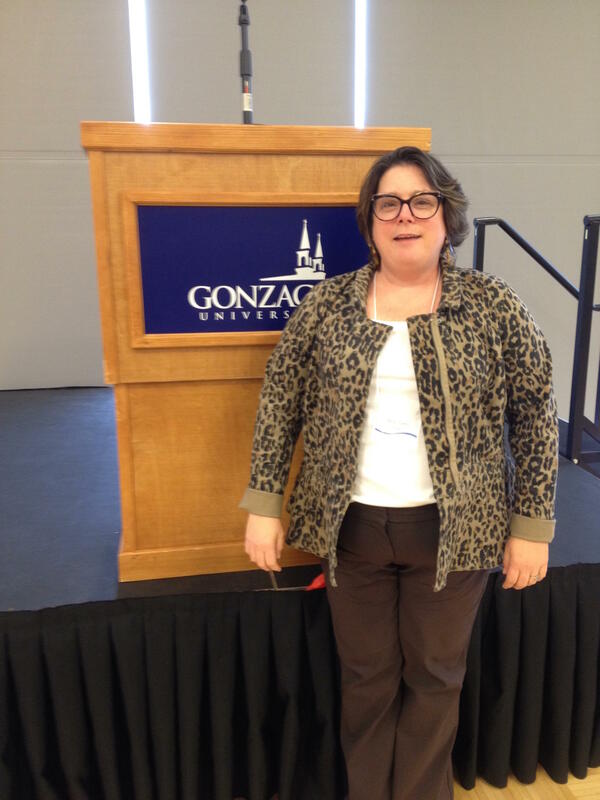 Terri Stewart led an incarceration re-entry simulation Wednesday at Gonzaga's International Conference on Hate Studies. Doug Nadvornick hosts the April 4, 2019 Inland Journal podcast. Today on the Inland Journal podcast, we spend a few moments at the Fifth International Conference on Hate Studies, held this week at Gonzaga University. About 20 years ago, Gonzaga founded its Institute for Hate Studies to give an academic home to the study of human rights. This was the era of the Oklahoma City federal building bombing carried out by Timothy McVeigh. It was a particularly active time for the Aryan Nations Church over in Hayden Lake and the battle waged against it by Morris Dees and the Southern Poverty Law Center. Every couple of years, the institute, directed by Kristine Hoover, invites some of the most prominent people involved in human rights studies and local people who are interested. The Fifth International Conference on Hate Studies finishes Thursday at Gonzaga University. To find and subscribe to the Inland Journal podcast, search for “Inland Journal” in iTunes, NPR One or Google Play. Or find it on the Inland Journal page at Spokane Public Radio dot org.